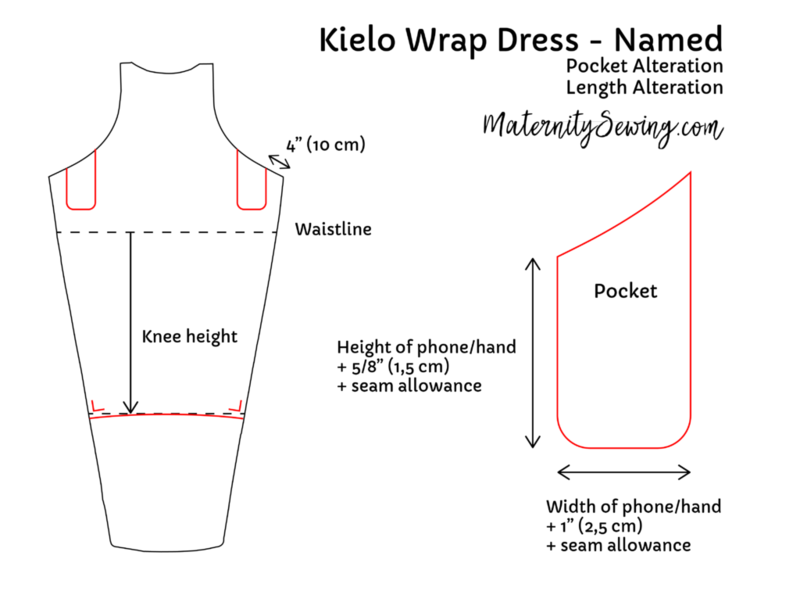 The Kielo Wrap Dress is not drafted for maternity, but it is a very popular maternity pattern because it is completely adjustable at the waist. It is also a really fun design for a maternity garment. 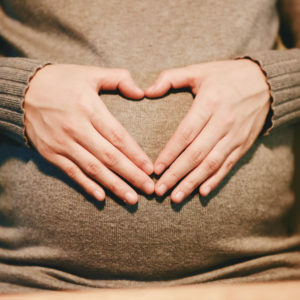 Plus it’s quick to make, so basically everything you want in a maternity pattern! I had seen a hacked knee length version somewhere which seemed more practical to me. Lots of brambles and other things to get stuck in where I live, so maxi skirts don’t really work for me. It was a really simple hack, scroll to the bottom of the post to see how I did that. Hacking off the bottom eliminated the vent in the back, so an even easier sew! You can wear the straps two ways, wrapped towards the front or back. 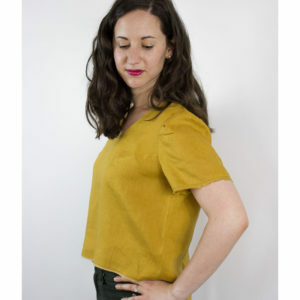 I used a cotton jersey, which works fine but I think the drape would be even better with a viscose or bamboo jersey. The only downside to this dress is that it’s not nursing friendly, so I won’t be able to wear it while I’m still nursing. Otherwise it’s a great dress, that can be worn as is or layered with a cardigan and tights. And they have hidden pockets! These are not included in the pattern, but it’s easy to add them yourself. 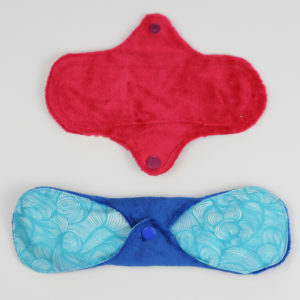 You’ll only be able to use them with the skirt wrapped to the front. Those pockets are a great addition, even though they cannot hold much more than a phone or a wallet. Still better than no pockets right? Here’s how to add the pockets: Measure your phone or whatever you are most likely to carry in them and draft the pocket according to the diagram above. Sew them the same way as inseam pockets. To shorten the dress, locate the waistline marked on the pattern. Take your knee height measurement and measure down from the waist. Mimic the curve of the original hem in the new hemline, squaring off the corners. Fancy making your own Kielo? Find the pattern in our shop! There’s also a free long sleeve add-on available.